As the California wildfires continue and the new threat of mud slides emerge, disaster recovery planning is front and center. It's important for all to take this time to plan. If you have not prepared a disaster recovery plan, now is the time to do so. Even 30 minutes now can save one from a lifetime of heartaches. Step One –Identify a safe place for everyone to meet. This pre-determined place should be discussed with family members prior to an emergency. A second location should be discussed. Also, out-of-town relatives should be advised of this location. Additionally, each person should have a list of phone numbers for immediate neighbors and family members. 3X5 index cards work well. Step Two – Take an inventory now. Write down all your valuables (personal and business). Do not forget the little things that can really add up. Keep receipts of all purchases. The receipts allow you to get that value when filing a claim. Take photos. Secure all this in a safe place. Step Three – Write down a complete family medical history. Include any medical conditions, medicines and dosages, doctors names and contact information, where medical records can be found, etc. Be specific. A life can truly depend on this one step alone. Step Four – Get a copy of all important information, wills, trusts, mortgages, deeds, birth certificates, contracts, medical records, even household bills to help get things restored quickly, etc. Back-up your computer. Get extra cash. Often ATMs are down so cash is needed. Step Five – Write down all your computer passwords, and important information. Step Six – Doublecheck all your insurance coverage. Are you adequately covered? Write down all your coverage, insurance policies, contact information, policy numbers, group numbers, date of births, etc. Think coverage of everything – life insurance, car insurance, property insurance, business insurance, etc. Step Seven – No one wants to think about this one, but you should for your family's protection. Do you have your will up-to-date? If not, please do. Especially for those with minor children. You need to know that they will be taken care of and placed in the homes of those who you trust and what you know will provide the best care. Plan now and update your plan often. Also, when you write down your information and contact numbers it allows you to see if you have the coverage you need. 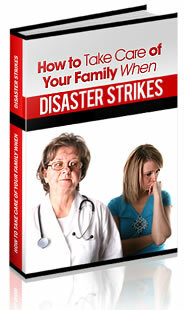 The amount of stress this will save can make a big difference in how you recover if a disaster were to offer.